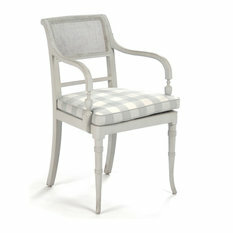 Casual country charm and Old World craftsmanship are featured together in this weathered wood armchair with caning and removable checkered cushions. 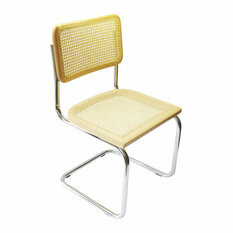 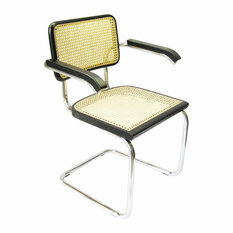 Marcel Breuer Cane Chrome Arm chair - Cesca Arm chairs. 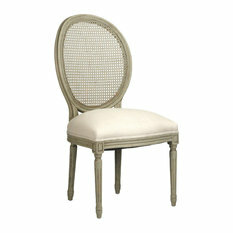 Upgrade your dining room furniture with the addition of the Medallion Side Chair With Cane Back. 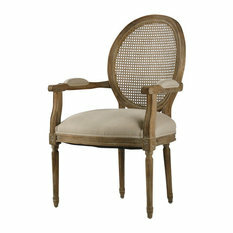 Featuring a round cane back, upholstered natural linen seat, and carved olive green framework, this chair is understated and sophisticated. 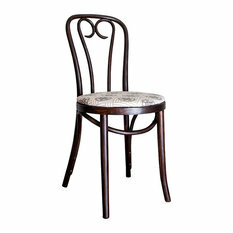 'Dot' is an excellent example of the classic so-called ‘candy cane’ version of Thonet’s great bentwood chairs; designs that revolutionized cafe seating in the 1850s, not to mention the overall concept of furniture production and shipping. 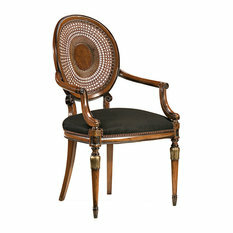 Louis XVI style beechwood side chair with hand-caned back; overall dimensions: 20"W x 19"D x 39-3/4"H; seat: 20"W x 19"D x 20"H; back: 39-3/4"H; hand-made in Italy; Louis XVI style beech wood chairs with hand-caned backs hand-rubbed antiqued walnut finish antiqued silver leaf accents. 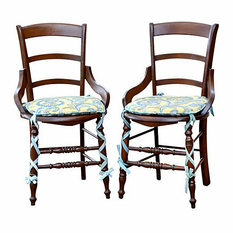 Antique pair of English country chairs with cane seats and turned legs. 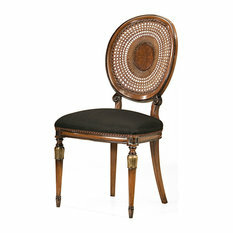 Smokey Plum Grommet Blackout Vintage FauxSilk Dupioni Single Panel, 50"x96"
Moderno 3 Concrete Gas Fire Pit, Propane, Cafe, 30"
Scatola Concrete Gas Fire Pit, Propane, Cafe, 20"x20"
Wool And Silk 250 Kpsi Ivory Nain Hand-Knotted Oriental Rug, 5'9" x 8'10"
Hand-Knotted Wool and Silk Tone on Tone Tabriz Oriental Rug, 8'0" x 10'2"